When you have a roomful of hungry football fans watching the Big Game on your big screen, the last thing you want is for any of them to miss a play while they’re going to the kitchen to hunt for snacks. So on Big-Game Sunday, make sure your TV area is well stocked with snack stations that are all within easy reach of your guests. If you find yourself pressed for time (e.g. 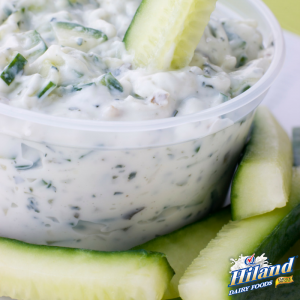 the Johnsons’ cable is on the fritz, so everyone’s suddenly watching the game at your house), you can still serve a hungry horde of fans a variety of tangy, tasty dip options by buying ready-made dips from Hiland Dairy. And with our wide variety of flavors to choose from, even the pickiest guest will find something to love. For potato chips — ridged or plain — try tangy Southwest Ranch Dip or classic French Onion Dip. For tortilla chips, add some zing with Chipotle Fiesta Dip or Jalapeño Fiesta Dip. And this year, why not try to get some healthy vegetables into your football fans by offering them a tray of carrots, broccoli, cauliflower and celery with our Veggie Ranch Dip! If you’ve got the inclination and a little time, you can create your very own one-of-a-kind dips for your Big Game party. 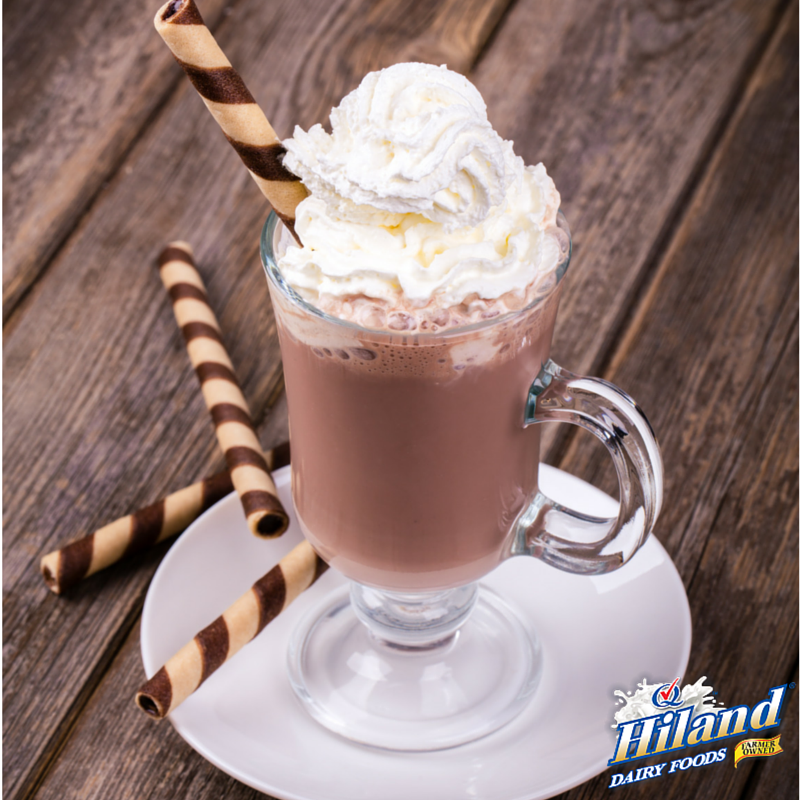 The key is starting off with the right base — in this case, Hiland Dairy All Natural Sour Cream. It’s creamy. It’s tangy. It’s Grade-A pasteurized goodness all swirled up in three convenient sizes, and it’s always made with NO artificial growth hormones. Peel your cucumber with a vegetable peeler to remove the dark green outer skin. Then grate your cucumber into small strips using a cheese grater (watch your knuckles!). Place the grated cucumber in between a couple of paper towels and squeeze them as dry as possible. Remove the dill fronds, discarding the stalks, and chop them finely. Mix the cucumber and dill into a work bowl containing the Hiland Dairy All Natural Sour Cream. Add lemon juice and salt to taste. Refrigerate at least one hour before serving. Tip: It is very important for this recipe to use fresh dill. This can typically be found at your local grocery store, often in convenient clear plastic wallets hanging in the produce section. You could always try a combination of Options 1 and 2, above, by making your own dips and offering some delicious ready-made Hiland Dips too. In fact, it’s not a bad idea to have some of those ready-made dips in reserve, in case you run out. Because as any sports party host knows, the only thing worse than a guest missing a play to get up to go for snacks is to run out of snacks altogether! When is a drink not a drink? Well, when it’s frozen, of course. And since the Big Game is smack-dab in the middle of winter for most of us, it seems counter-intuitive to serve something cold. Well, just like a good coach mixes up his playbook to keep his opponent on his toes, a good host does the same to keep his or her guests having fun. So when the game is getting hot, why not cool down your crew with these deliciously frosty treats! Blend all ingredients in a blender until the contents achieves the consistency of a milkshake. Serve immediately.